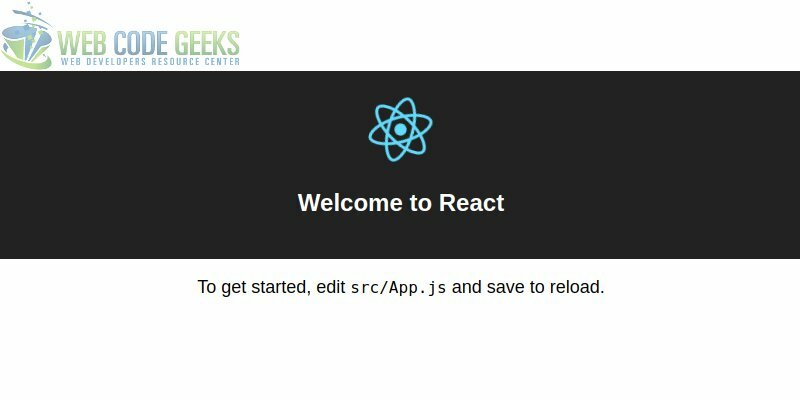 In this article we will start our adventures in React. We will cover the set up of our local development environment, the various ancillary technologies needed to make our React application work and how a React application is composed. We will finally pull everything together in a simple web application which we can run locally in our browser. It is extremely popular and has positioned itself not only as a leader in web view libraries but also as an implementation choice for creating native applications for mobile. It carries an MIT license and the source code can be viewed here. The following software packages need to be installed to follow along in this article. Nodejs can be obtained and installed from here. We can confirm successful installation on the command line. Your version might differ as I have had installed for some time. Visual Studio Code can be installed from here. It is the editor I will be using for this article, but it is not essential that you use it. Any text editor will do. In this step we demonstrate how to create a React application using the command line tool we previously installed via npm. Even though this step is not necessary as the sample application is downloaded, this serves as reference for you when you decide to do your own. Creating a new React app in /home/jean-jay/Documents/github-projects/codegeeks/reactjs-getting-started. If you are not familiar with ES6, don’t fear, you can make use of the Babel repl to see what the ES6 features get compiled into to be able to run in older browsers. But generally the example code is superficial enough to be able to wing it. The web development space is changing constantly and it can be quite difficult knowing where to start or what to learn. For most of us time is a scarce commodity, that’s why choosing the right thing to learn or focus on is especially important. This begs the question, why React? What makes it special among the plethora of web development frameworks out there. I will try to distill the noise into a set of reasons as to why you should consider React. Should you be wanting to explore mobile development, React offers a fluent development experience by bringing the same experience for web to mobile, thus also reducing the learning curve. React applications lend themselves to test-ability through their architecture and utilities that ship with the library. React applications are very performant. Leveraging a virtual DOM and targeting SPA designs user experience is a core focus. React is focused on the “view” part of web applications and can be combined, even, with other web frameworks like Angular. React is open source, ubiquitous and actively maintained by the community, including big companies like Facebook and Instagram. At the heart of it all are components, it’s what allows us to make our application dynamic, modular and testable. A component could be anything on our page, it could be a menu component, a header component, a calendar component, a date picker component etc. In React we distinguish between two general types of components, statefull and stateless. Statefull as the name implies manages state whereas a stateless component does not. The purpose of a component is to accept some input through a variable called props and then render / update a part of the DOM as a result of executing the component. A component can indicate to React when it should call the render() method of the component by calling setState(). This will indicate to React that some state has changed and therefore the DOM should be updated. Even without any experience in using JSX, the code looks familiar enough for people with only HTML experience to be able to follow the code without too much of a problem. Each element (custom or HTML) is compiled into a React.createElement(...) call where the first argument denotes the type of element, the second argument denotes the css configurations and the third element represents any children of the element. Thus subsequent React.createElment(...)calls for hierarchical structures or a string representing inner HTML. Our application is simple. At the root we have an index.js which will register a service worker to enable a more progressive application but will also append our application content to the DOM at thediv element with id root. Further to that we have three custom components Todo CentredItemInputand ItemDisplay. They are responsible for encapsulating our application (Todo) , accepting input (CentredItemInput) and displaying our items (ItemDisplay). // called by React to render this part of the DOM, our JSX snippet. In this class we define our root component for the application. // the state and or functions passed to this component. Download the example project and extract it somewhere on your system. The dependencies will be downloaded from Npm and the application will be started. A browser window will be opened when ready. At this point you can start typing in items (“todo items”) and adding them to your list. The application is very simple, no real validation exists and the list is unbounded, but it does showcase some features of React and how to get started with it. In this article we introduced ourselves to React, understood it’s origins, it’s applicability, how it functions (briefly) and how we can use it and other required ancillary technologies to build a simple user interface.